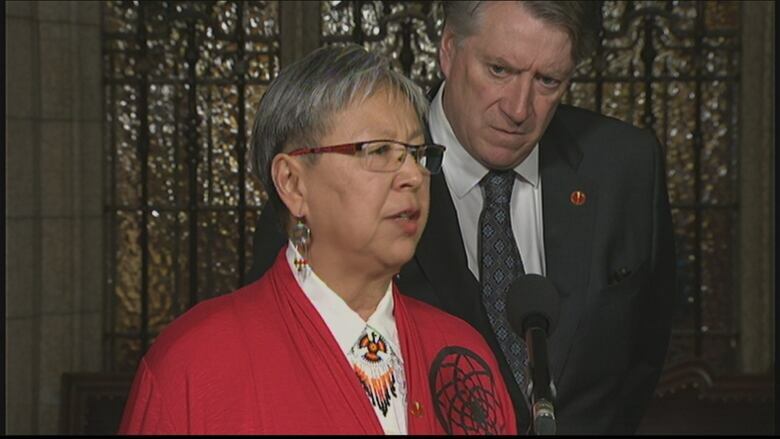 Members of the Senate’s Aboriginal peoples committee are recommending the Liberal government hold back on legalizing cannabis for up to a year in order to address its potential for harmful effects in Indigenous communities. The committee, chaired by Liberal Saskatchewan Sen. Lillian Dyck, said in its report on Bill C-45 that the government simply did not consult enough with First Nations, Inuit and Métis communities before pushing ahead with its plan to legalize the drug. “Many communities are really worried about the potential adverse effects on their members, and especially on their youth, and it may be even worse because of the trauma in their communities,” Dyck said, adding existing social issues in Indigenous communities could be made worse by increased drug use. If passed, the amendment would delay the bill’s full implementation for up to a year. As currently written, the bill stipulates the law does not come into force until a date is fixed by an order of the governor-in-council — Prime Minister Justin Trudeau’s cabinet. A final vote on the bill is scheduled to occur in the Senate on or before June 7, with legalization expected to follow eight to 12 weeks later. The committee said the government should take that time to negotiate a revenue-sharing agreement with First Nations communities. The committee has heeded a request from Manny Jules, the chief commissioner of the First Nations Tax Commission, who recommended the federal government and the provinces hand cannabis taxing authority over to First Nations governments so they can impose their own levy on marijuana grown and sold on reserves. “The way the bill has been crafted shows there was very little consultation,” Conservative Alberta Sen. Scott Tannas told reporters. First Nations say their governments will face new social challenges from legal cannabis, but they stand to gain nothing from Ottawa’s plan. Under Jules’ proposal, Ottawa and the provinces would cede ground to First Nations to collect taxes, providing a new source of much-needed revenue to their communities. “The Department of Finance [should] immediately work with interested First Nations and First Nations institutions to allow them to collect cannabis excise tax revenues,” the committee report said, calling for an amendment to the First Nations Fiscal Management Act to provide for a First Nation law-making power to levy cannabis excise taxes on reserve lands. The funds could then be used to develop cannabis-related laws and regulations on-reserve, fund campaigns to educate young people about the dangers of cannabis use and bolster First Nations police forces. The recommendation to extend taxation powers to First Nations will now be referred to the Senate’s social affairs committee, which will make the ultimate decision on which amendments to the bill should get the green light. The whole Senate would have to vote on the amended bill, which — if approved — would go back to the House of Commons for a final vote. The Aboriginal peoples committee also found there is no “culturally appropriate” educational material ready to ensure Indigenous people understand the new law — which will legalize the drug, lead to the creation of provincially-run retail distribution systems and allow for home cultivation, among other sweeping changes to the country’s drug laws. The committee heard from a number of witnesses who said the public education campaign that addresses the health effects of cannabis is woefully inadequate and is rolling out too close to the proposed legalization date — giving people too little time to learn about its harmful effects. It also noted a number of First Nations police witnesses warned they are unprepared for a wave of legal pot. In its report, the committee quoted Steve Burton of the Tsuut’ina Nation Police Service, a reserve outside Calgary, who said his force doesn’t have the tools it needs to enforce the act — which actually stiffens penalties for some offences, including giving cannabis to a minor — or to monitor drug-impaired driving. “We don’t have the people trained, the drug recognition experts. Those are training programs that require extensive time … For us to arrange that training when we’re already low on manpower, we have to find a way to backfill that position or positions with other officers,” he said. In an appearance before the Senate’s social affairs committee earlier this week, the Canadian Real Estate Association encouraged the government to suspend provisions that will allow people to grow pot at home until there are better regulations in place to avoid property damage and sinking home prices. The Liberal government has said it plans to limit home marijuana growers to four plants per household. The government initially intended to limit plants to 100 centimetres in height, but the House of Commons approved an amendment that removed that restriction.